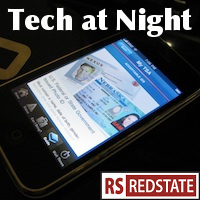 Tech at Night: No on SOPA, the selective Internet Kill Switch, Greg Walden and Adam Kinzinger take on the FCC Tech at Night: SOPA and PROTECT IP: Bad bills. FCC Subsidies march on. Some government mistakes slip by with only a few of us shouting about them. The Stop Online Piracy Act, or SOPA, is not one of those. People across the Internet are getting loud against the House bill and its Senate counterpart PROTECT IP, the one I’ve been yelling about for months, but many businesses are supporting. Yes, I’m going to be that guy, saying I was into the band before you ever heard of him. But, instead of being disappointed that the band’s gone mainstream, I’m glad we’re now at the point where Darrell Issa is changing his Twitter avatar in protest of the bill. This bill goes too far. Kill it. Issa says he will introduce his alternative. I hope it follows the model of the UIGEA: cut off funding to lawbreakers. Censorship is not needed. Patrick Leahy wants more criminal penalties for online attacks. Not having read the bill, I don’t know if there’s something dangerous in there, but the core concept is one I strongly support. We need to put the bad guys in jail. Regulation of the good guys is not the answer. Chuck Grassley continues to demand transparency on LightSquared, threatening to block the two new FCC commissioners until he gets that transparency from the administration. The Supercommittee continues to get lobbied by everyone imaginable. Two tech-related efforts are from our SOPA pals in the music industry, who actually appear to agree with me on incentive auctions to allow television spectrum to be voluntarily made available to alleviate our high-speed wireless Internet spectrum crunch. Politics, strange bedfellows, etc. etc. Public Safety Alliance also agrees with me, not surprisingly, that we need to take the “D block” of spectrum and allocate it to first responders as a civil defense effort. 9/11 taught us this is needed, as spectrum inconsistencies were a problem in the response to the 9/11 attacks in New York. Further, this is spectrum the market does not want, as attempted auctions of the D block have failed, even as other blocks sold successfully. I’m a conservative, not an anarchist. I believe government has a role, and civil defense is part of that role. There’s no harm in assigning the D block to national civil defense efforts, but there’s plenty of good. As Republicans prepare legislation to reform the FCC, the FCC responds by changing up its lobbying arm, the Office of Legislative Affairs. Hmm. Yup, Net Neutrality’s in trouble. Free State Foundation’s been solid on the issues in my view, as has Media Freedom. So including both in one link is a trick I enjoy.